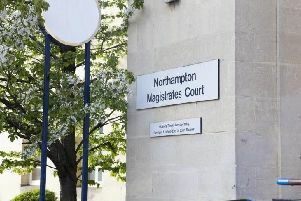 A murder investigation has been launched following the death of a man in Northampton last night (Thursday). Police were called to Brookfield Road, Kingsley, at about 9.45pm on June 14, following reports of an altercation. A 34-year-old man was found with stab wounds in nearby Randall Road, and taken to Northampton General Hospital. Sadly he died a short time later. A 34-year-old man who was found with multiple stab wounds has died. Enquiries to establish the circumstances leading to the incident and those involved are taking place and detectives are appealing for anyone who may have any information about the incident to contact them. Detective Chief Inspector Ally White said: “This is a fast-paced investigation and we are following a number of lines of enquiry. “We would like to speak to anyone who may have any information about the incident that took place in Brookfield Road and Randall Road last night or anyone who may have witnessed an earlier altercation at about 9.40pm in Fairfield News, a nearby shop. Did you witness an altercation in Fairfield News? Police have closed off part of Randall Road and Brookfield Road and those scenes are expected to be in place for the remainder of today. House-to-house enquiries are taking place in the area and high visibility patrols will be taking place as the day continues by local officers. At this time no arrests have been made in connection with the investigation.